Chedd-Angier is one of the country’s most experienced independent documentary television production companies. We have produced over 100 prime-time programs for PBS; several multi-part telecourses; and cable and corporate media projects. 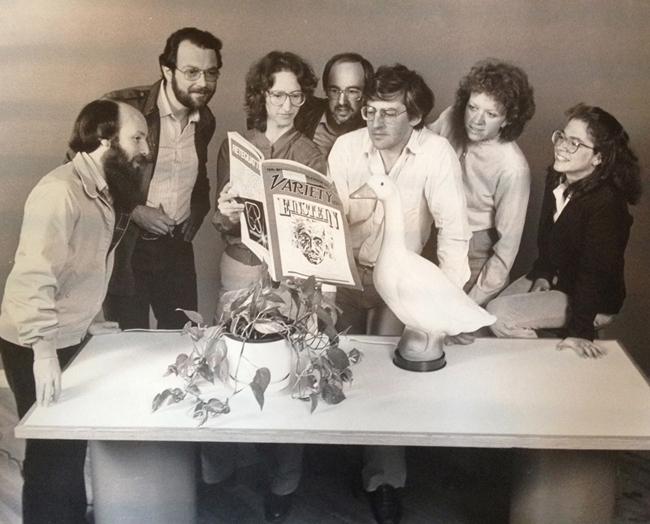 The company was started in 1979 by John Angier, one of the founding producers of the PBS Nova series, and Graham Chedd, Nova’s first science editor. David Berenson, one of Nova’s first editors, is a partner. We have produced many episodes for PBS series: Nova; Frontline; War and Peace in the Nuclear Age; Columbus and the Age of Discovery; Enterprise. We have created several stand-alone, short series: The Secret of Life, hosted by David Suzuki; Race to Save the Planet, hosted by Meryl Streep; The Human Spark, hosted by Alan Alda. We created and produced the premier season of Anyplace Wild, a PBS outdoor adventure series. Current projects include: Brains on Trial, hosted by Alan Alda; Saving the Ocean, hosted by Carl Safina; Against All Odds, hosted by Pardis Sabeti. Our work has won many awards, including three national Emmys, the AAAS/Kavli prize, two Prix Italia Special Citations and the Council of Scientific Society Presidents’ Sagan Award.